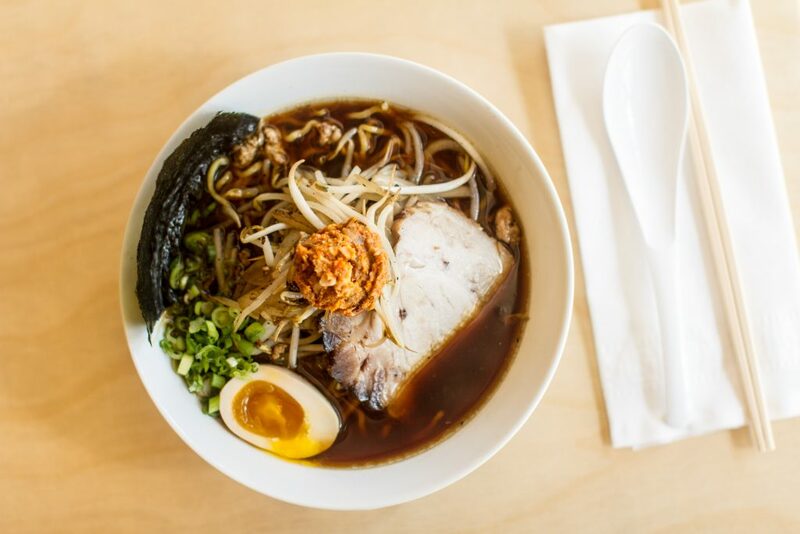 “With fall just around the corner and crisp weather already moving in ramping up serious ramen cravings, beginning today, Tuesday, September 12th, Haikan (805 V ST. NW. WASHINGTON, DC 20001; www.HaikanDC.com; (202) 299-1000; @HaikanDC) – the third Japanese ramen shop to open in Washington DC – and the second Sapporo-style ramen shop from the talented team behind the Daikaya Group – Yama Jewayni, Katsuya Fukushima, and Daisuke Utagawa – will officially launch their new ‘To Go Ramen’ service. The new ‘To Go Ramen’ service will allow ramen lovers to place orders for Haikan’s signature Sapporo-style ramen over the phone (202-299-1000), then collect their orders in-person at the restaurant and take their ramen to go. Signature ramen selections available to order to-go at Haikan include: Shio, Shoyu, Spicy Shoyu, Miso, and Vegetable. Ramen will be available during all hours Haikan is open for business.